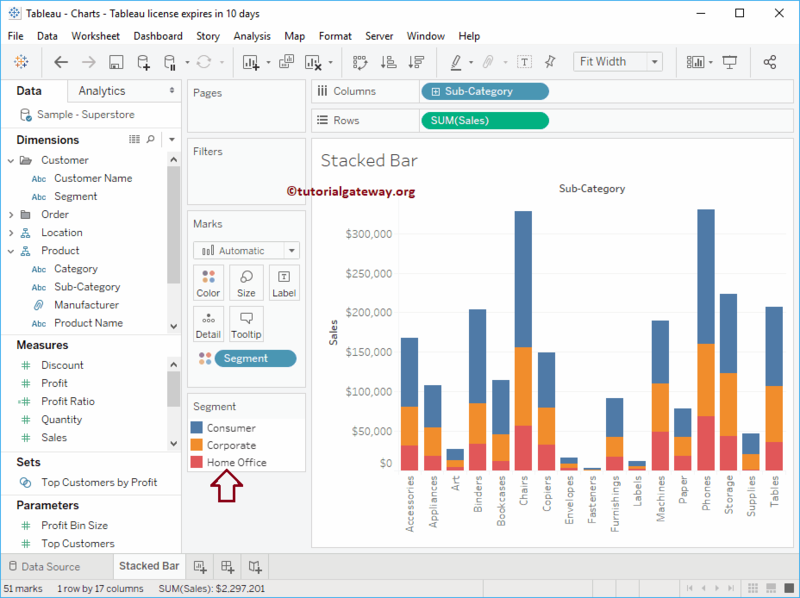 The Tableau Stacked Bar Chart is very useful to compare the data visually. 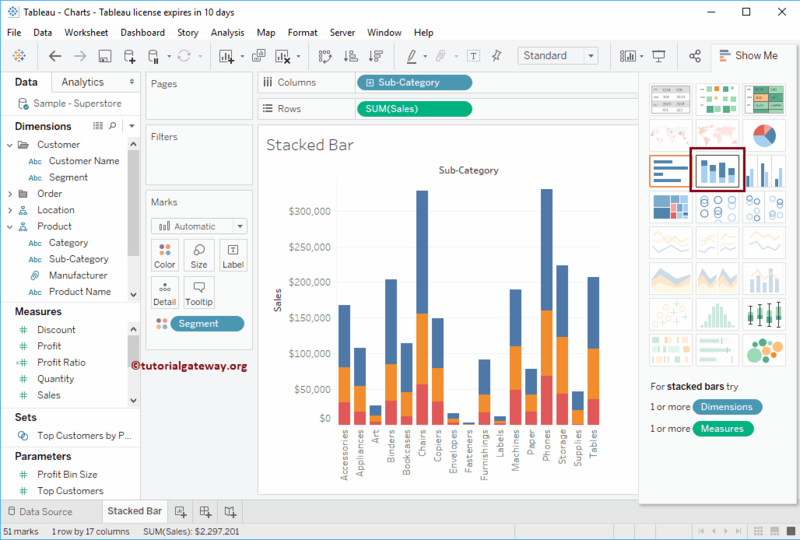 In this article, we will show you, How to Create a Stacked Bar Chart in Tableau with an example. 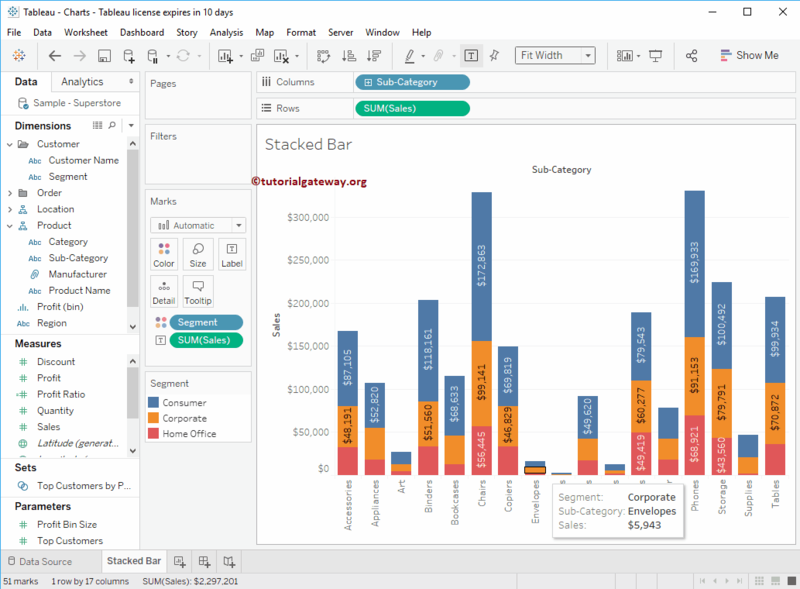 For this Tableau Stacked bar chart example, we are going to use the Sample – Superstore Data Source. 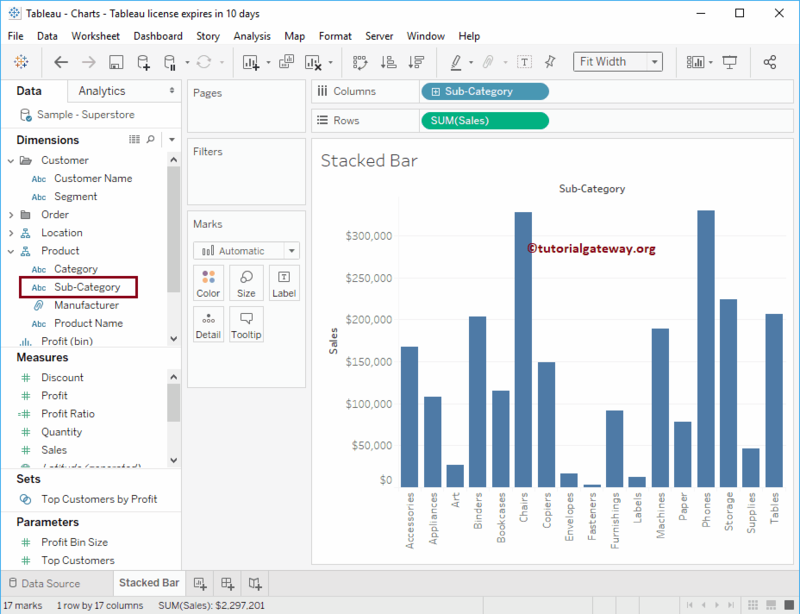 In order to create a Tableau Stacked Bar Chart First, Drag and Drop Sales from Measures Region to Rows Shelf. 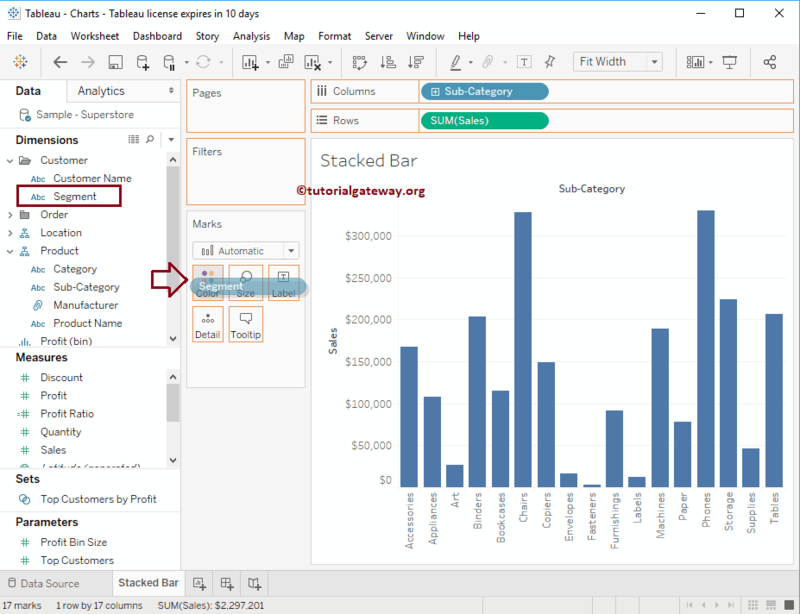 Since it is a Measure value, Sales will be aggregated to default Sum. 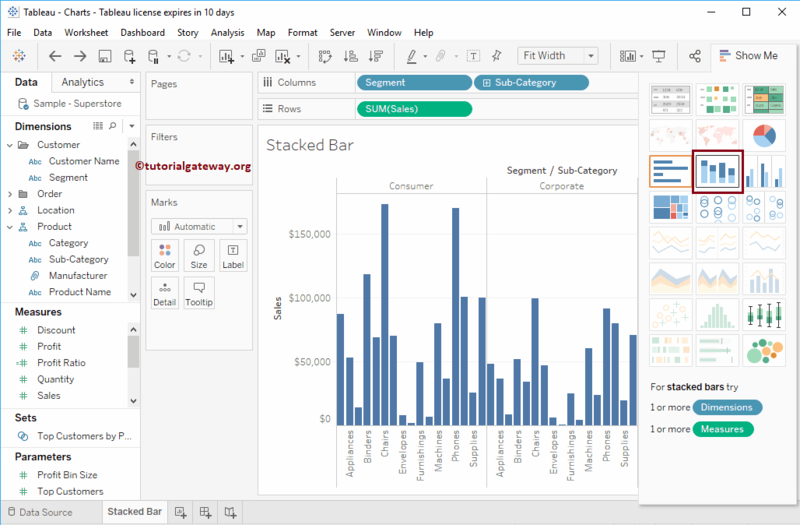 Once you drag them, Bar Chart will be generated as we shown below. 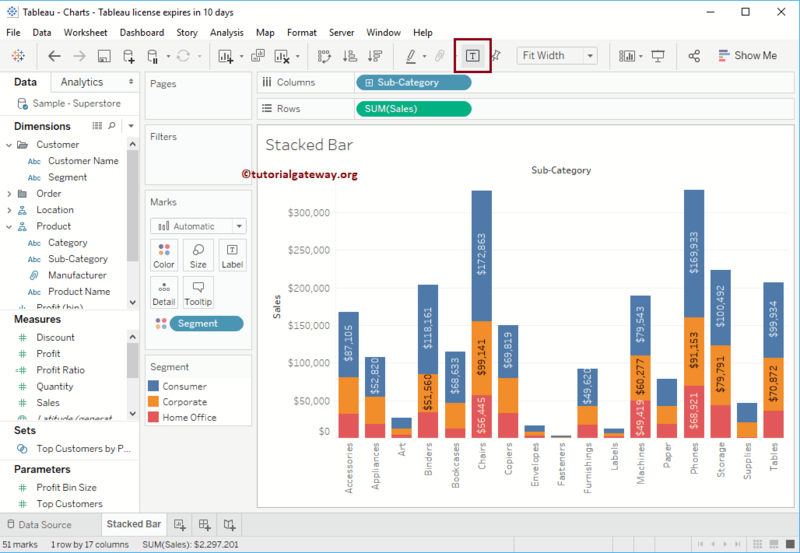 Next, Drag and Drop Sub-category from Dimension Region to Column Shelf. 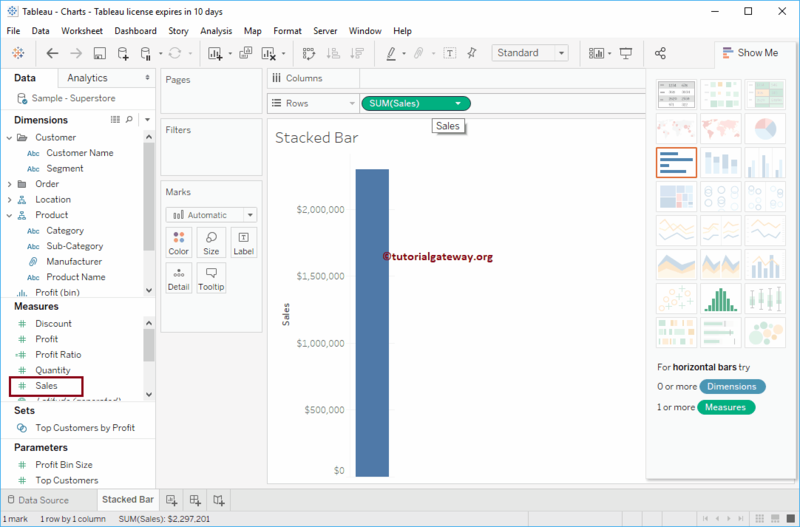 Once you drag them, proper Bar Chart will be generated as we shown below. 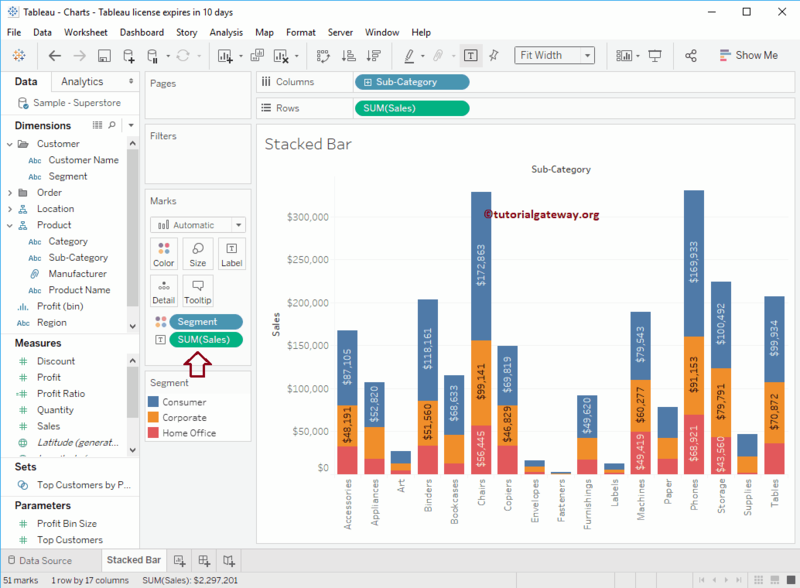 Let me remove the Segment field from the Color Shelf, and place it right before the Sub-category in the Columns shelf. 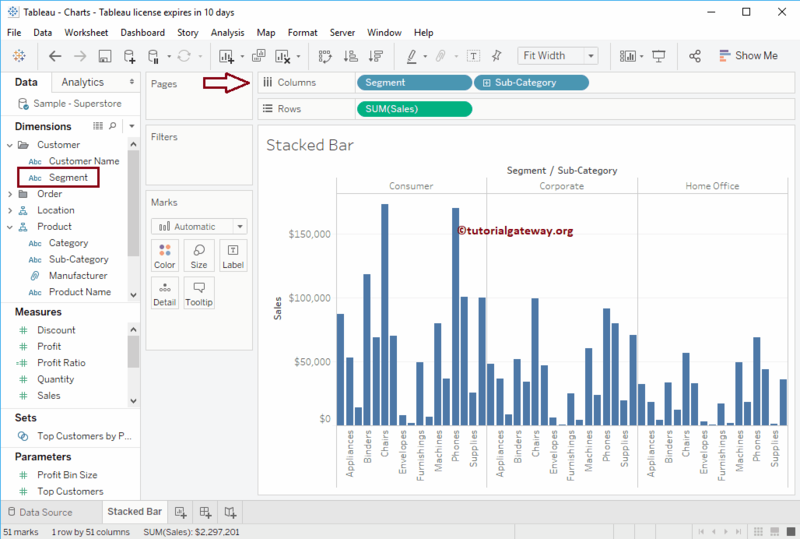 Selecting or highlighting any specific stack will show you the information at that particular point.